Today is a hard day for me – it’s been eight years since I lost my five-year-old son, Joseph, to the flu. I’m not the same person I was eight years ago. Today, I see things through a different lens as a bereaved parent. I am more compassionate, more empathic, and (generally) more understanding and patient. Losing a child is devastating, but I feel it’s my responsibility to pass on some of the lessons I’ve learned through this personal tragedy. 1. Every parent wants what’s best for their children. I’ve come to realize that vaccination is a sensitive issue for many people. Some parents believe in vaccination, while others do not. But what we all agree on is that our decisions are motivated by our desire to protect our children. Whether it’s a post on social media, or a televised interview on the news, we often witness a difference of opinions regarding the risks and benefits of vaccines. However, we all make the choices we do with the information we have because we want to do what we THINK is best for our children. The disconnect occurs when we don’t agree on the validity of the information that’s available to us. It’s not really the people that are divided, it’s actually the incorrect information on vaccines that we have allowed to divide us. As parents, we are so overwhelmed with the sheer amount of information out there, that sometimes it’s difficult to determine what’s true and what’s false. That’s why when I have conversations with people who are hesitant, or even opposed to vaccines, I find it’s best to listen to their concerns and start a mutually respectful dialogue. Attacking one another won’t help. We need to combat vaccine misinformation by providing the correct information. I don’t want a single parent to risk their child’s life, or their own, simply because they didn’t have the correct information about vaccines. So here’s what I know for sure; across the globe, millions of children have died due to infectious diseases and continue to do so. Sadly, most of these deaths could be prevented with vaccines. My son’s death certificate states “complications of H1N1”. I know for a fact that my child died from influenza. I also know, based on the available data from the Centers for Disease Control and Prevention (CDC), that 1,472 children have died from influenza in the United States since 2004. And I know that the flu vaccine has been safely administered in the U.S. for more than 50 years. How do I know this? Because I made sure I got the facts and I trust the science. 2. Flu vaccines save lives. We have vaccines for a reason. Vaccines are not created for common, non-life-threatening ailments. The fact that there is even a flu vaccine should be enough to indicate the dangers of flu. Before Joseph died, I never would have thought in a million years that flu was a threat to my healthy child. I have always vaccinated myself and my children, including for flu. Joseph passed away due to H1N1 flu, which was not included in the seasonal vaccine in 2009. The H1N1 vaccine did not become available in our community until two weeks after Joseph passed away. I do believe that if he had been vaccinated for H1N1, Joseph would likely still be here today. Flu does not discriminate – it does not care if you’re young or old, rich or poor, healthy or immunocompromised. It’s important for people to know that flu can be a serious, even deadly, disease for anyone. Before Joseph died I was more scared of him getting hit by a car or kidnapped by a stranger. Death from flu was not even on my radar. Now I know more about flu than I ever wanted to. During the 1918 flu pandemic, 20 to 50 million people lost their lives. Every year in the U.S., upwards of 56,000 people lose their lives due to flu, including approximately 100 children. As parents, we do everything we can to keep our children safe. So why wouldn’t we protect them from the flu, too? The flu can kill even a healthy individual. But those who are vaccinated are much less likely to die from flu. 3. Grief is not a linear process. As a bereaved parent, my lessons would not be complete if I didn’t address grief. As bereaved parents, we often hear “you’re so strong” and “I don’t know how you do it”. The simple answer is we weren’t given a choice. One of the important things I’d like people to know about grief is that it’s not a linear process. There are days when I feel gracious, like I can accept Joseph’s loss, move on, and even work towards saving other children from the same fate. But then there are days when I feel like life is just unfair. Grief is a spiral and you can be anywhere on that spiral on any given day. There is no right way to grieve. For those of you that are a bereaved parent, be gentle with yourself and reach out to others for help and support. The Compassionate Friends was very helpful to me after Joseph’s death. And for those of you that know a bereaved parent, reach out to them! Speak their child’s name in conversation, ask how they are – even if it’s years after the loss. Our biggest fear is that our child will be forgotten by others. 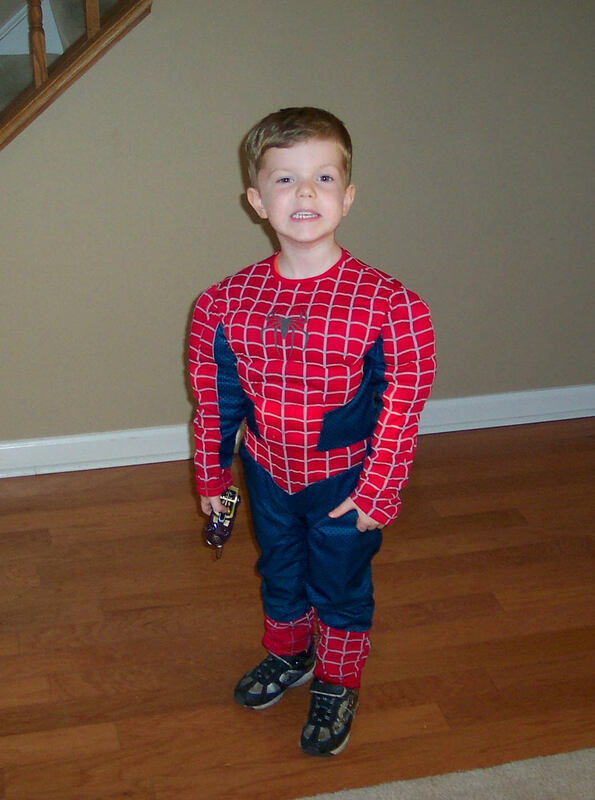 So today, I am choosing to remember Joseph as a happy five-year-old in his Spiderman costume, zooming around our house, just happy to be alive and free. Eight years later, do I think about what Joseph would look like, how tall would he be, what sports would he be playing? Of course. But I accept that my responsibility is to educate others about the dangers of flu and the importance of annual flu vaccinations for everyone six months and older. If I, along with all the other bereaved parents who lost children to flu, don’t continue to tell our stories, then we will be doing a disservice to others. Let our stories be YOUR lessons. Because of my experiences, and those of many other families who have lost loved ones to flu, you can now learn how dangerous flu can be without having to suffer a similar tragedy. I am thankful that our children’s stories could potentially save your child’s life. So please share Joseph’s story, and all the family stories available on the Families Fighting Flu website, with your friends, neighbors and loved ones. And please, remember to get your flu vaccine this year, not only to protect yourself, but also to protect your loved ones and your community. By doing so, you may just save a life and it may even be the life of your own child. Of course, if you have questions or concerns that are keeping you from getting your family vaccinated, talk to your healthcare provider or check out the online resources from Families Fighting Flu or the CDC. You may also join the Seasonal Flu Twitter Chat featuring @CDCFlu, @famfightflu and @shotofprev on Twitter on October 26th. Did Joseph get a flu shot? awe but if only, the flu vaccine worked… but it does not…it kills… so sorry for your loss..
@Terresa, It is true that there are several factors that can influence whether the flu vaccine will protect a person from flu illness. One is related to the person being vaccinated (such as their age and health), and the other has to do with the composition of vaccine or the “match” between the flu viruses in the flu vaccine and those which a person may be exposed to. No credible source has ever claimed that the flu vaccine can 100% guarantee that you won’t get the flu. In fact, each and every full season scientists spend a great deal of time researching the efficacy of the flu vaccine for that season in hopes of learning things that may help us improve the efficacy. You may be interested in knowing that there are several studies that indicate the benefits of flu vaccine. Not only can flu vaccine reduce the risk of flu-associated hospitalization, but it can also lower rates of cardiac events among people with heart diseases, reduce hospitalizations among people with diabetes (79%) and chronic lung disease (52%), and help protect women during and after pregnancy as well as helping to protect their baby from flu by passing on critical antibodies to the baby during pregnancy. In fact, a study that looked at flu vaccine effectiveness in pregnant women found that vaccination reduced the risk of flu-associated acute respiratory infection by about one half. There are even studies that show that flu vaccine in a pregnant woman can reduce the risk of flu illness in her baby by up to half. This protective benefit was observed for several months after birth. And a 2017 study was the first of its kind to show that flu vaccination can significantly reduce a child’s risk of dying from influenza. 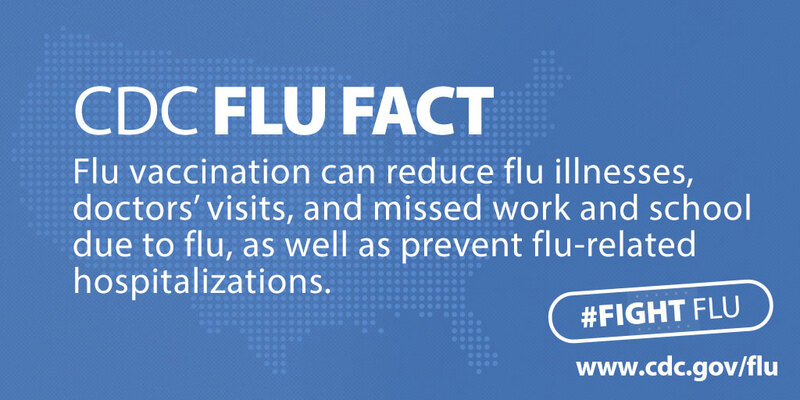 And let’s not forget that flu vaccination may make your illness milder if you do get sick. While you make the claim that the vaccine kills people, I have yet to see any credible evidence that proves that suggestion. What do you base your statement on? Are you privy to scientifically validated evidence that contradicts everything we know about microbiology, immunology, epidemiology, and the history of infectious diseases? The flu vaccine is a killed vaccine. Quite simply, the virus contained in it cannot replicate. However, immune cells that cruise our bodies looking for invaders, even dead ones, e.g., neutrophils, macrophages, gobble them up, chew them up into smaller recognizable bits called antigens, then go to lymph nodes where the literally millions of different antibodies generated by genetic mixing and reassortment are present and, if a match occurs, the matched antibody/antigenbegins to produce millions of clones, so that if later a live flu virus attacks, the body is ready. Otherwise, it takes antibodies up to two weeks to produce millions of clones; but by that time the flu virus has already done damage, possibly irreparable. And even when the vaccine fails to completely protect, it almost always reduces the damage done, the severity of the flu. Some flu vaccines contain trace amounts of thimerosal, an ethyl mercury, that reduces the risk of bacterial contamination in multiple use vaccine vials. We get daily, including children, from the environment, e.g. air, water, food, minor scratches, more mercury and it is methyl mercury which is far more dangerous than ethyl mercury. Do you even know the difference? Numerous studies done by scientists around the world have shown that flu vaccine reduces hospitalizations, and deaths. But it isn’t perfect, just as seatbelts reduce deaths and serious injuries; but not all. But, of course, antivaccinationists who subscribe to paranoid conspiracy theories will claim that all these scientists world over are conspiring with the pharmaceutical industry to further their profits. Yet, the total profits from vaccines is only 2% of worldwide sales of pharmaceuticals and many companies have stopped manufacturing them because they are so complex to make with little profit. Besides, why would researchers the world over, from different nations, different cultures, different histories, all conspire just to benefit one industry? And, most if not all of these researchers also get their kids vaccinated. I and most of my colleagues have gotten, among others, the flu vaccine every year and encouraged all our family and friends to also do so. Do you really think we all are willing to sacrifice our own children, loved ones, selves, and friends just to further the interests of one industry? And for your information, I have NEVER worked for a pharmaceutical company, nor the FDA or CDC, and NEVER purchased stocks in the pharmaceutical industry. I have simply devoted close to 50 years studying all aspects of the problem. Even now, retired in my 70s, I devote several hours per day reading latest immunology, microbiology, current infectious diseases, etc. It is tiresome when people like you make such absolutist, certain claims, based on little to no actual study of vaccines or the sciences that underly them. Thank you for your wise words to encourage others to vaccinate. Your Joseph looks like such a precious character. So sorry for your loss, but so glad for your strength to reach out to help other. Reblogged this on Katama South.